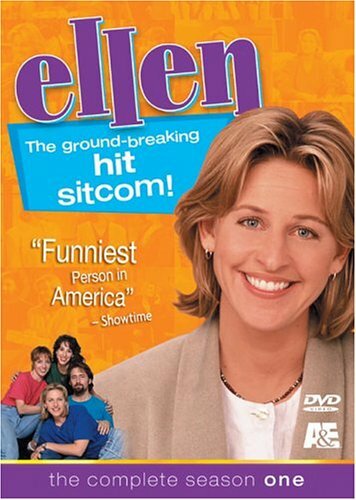 Ellen - The Complete Season One - BUY THIS DVD! The first TV vehicle for the many talents of comedienne Ellen DeGeneres came in the form of the half-hourly sitcom "Ellen." The show lasted for four years, and firmly established DeGeneres in the hearts and minds of the American public. Ellen played a bookstore employee who regularly has to deal with her irritating parents, her best friends Paige (Joely Fisher) and Adam (Arye Gross), and a variety of other colorful characters. This release contains the entire first season of the show, with all 11 episodes offering a wonderfully comedic look at the world. HOW TO WIN? SIMPLE. SEND IN YOUR NAME AND ADDRESS TO contests@efilmcritic.com. Put "WITH FRIENDS LIKE THESE..." in the subject line and cross your fingers. There will be [b]3 lucky winners of the DVD. We will draw names it could be yours. Only 1 entry per household.